← travel with me: iceland! 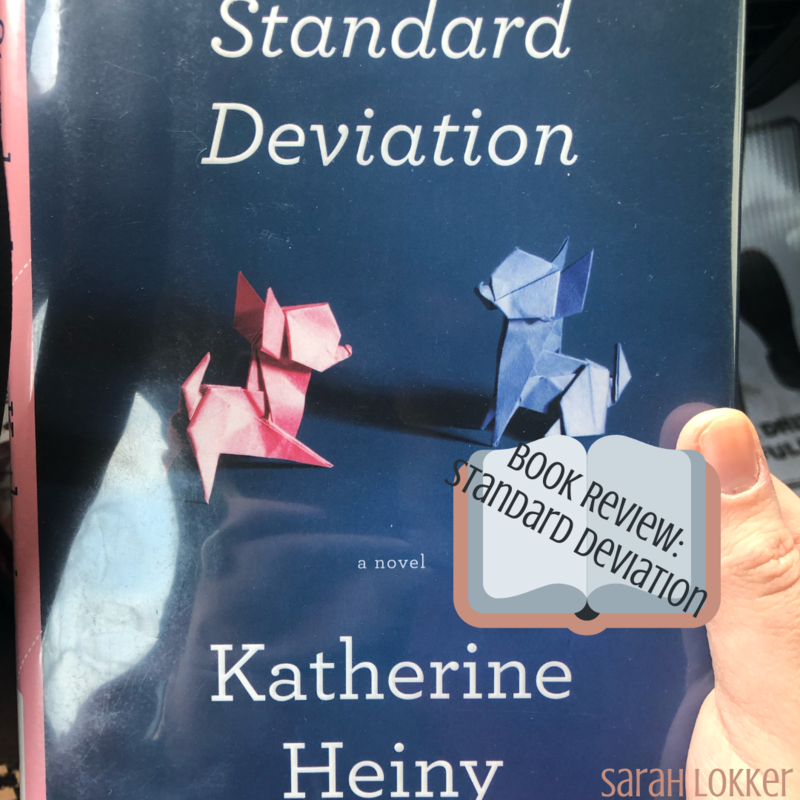 In Katherine Heiny’s Standard Deviation, Graham Cavanaugh’s second wife is nothing like his first. Audra is bubbly, gregarious and has a contagious personalty, while his first wife Elspeth was cold and a no-monkey-business kind of lawyer. As Graham and Audra define their marriage, they are also raising their son Matthew, who has Asperger’s and a fascination with origami. Graham is often reminded of Elspeth when Audra invites the countless number of houseguests, the never-ending interruptions and wonders why he fell in love with someone who teeters through life with all these distractions and out of love with someone who craved routine and structure. Audra decides to form a friendship with Elspeth, which leaves Graham in a weird limbo: How does one navigate through a civil relationship with a former spouse? Are we friends, enemies, old flames, or is Elspeth just someone who knows me really, really well? Based on the book’s title, a standard deviation is “used to quantify the amount of variation or dispersion of a set of data values.”. The way that Graham measures Elspeth to Audra, and vice versa, shows that there is no way of comparing the two. Audra is someone that I could never relate with, only because of how opening and inviting she is to absolute strangers, but yet, Elspeth is so un-compassionate that it seems almost unnatural. I really appreciated Heiny’s style of writing because there were tidbits of humor throughout, a few points that even made me chuckle out-loud. With the Cavanaugh’s having a child with a disability, though often heavily-written and tough to digest, Heiny makes light of his idiosyncrasies and executes the language beautifully. This story is heartfelt, warming and definitely among the funnier I’ve read this year. I really enjoyed it and feel that it has a lot to offer for everyone. This entry was posted in Uncategorized and tagged #blogger, bbloggers, beauty blog, blog chat, blogger girl, blogger life, blogger lovin, blogger style, bloggers, blogging, blogging gals, blogging tips, book haul, bookgram, books, books and tea, bookshelfie, bookstagram, booktography, fashion blog, fbloggers, good reads, instabooks, katherine heiny, life with sarah, lifestyle blog, on the blog, reading challenge, reading corner, sarah lokker, sarahhlokk, savvy blogging, standard deviation, story time, yalit. Bookmark the permalink.